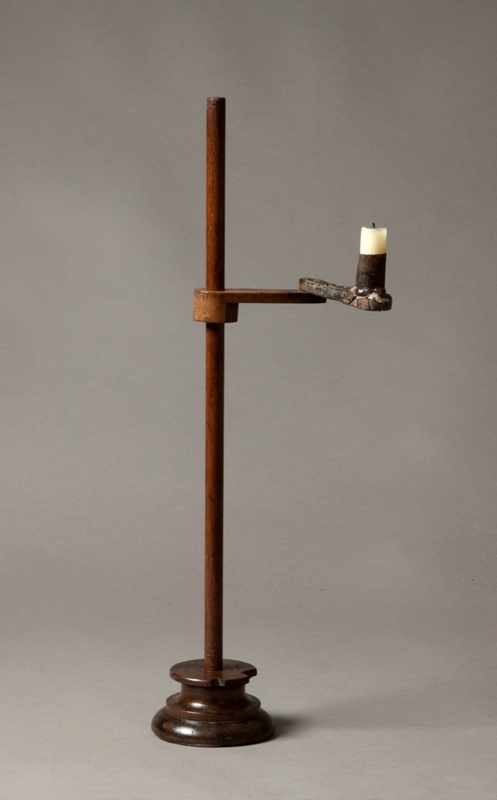 A very unusual and rare Welsh table top extendable and adjustable candle holder. 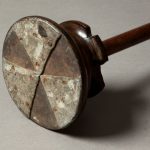 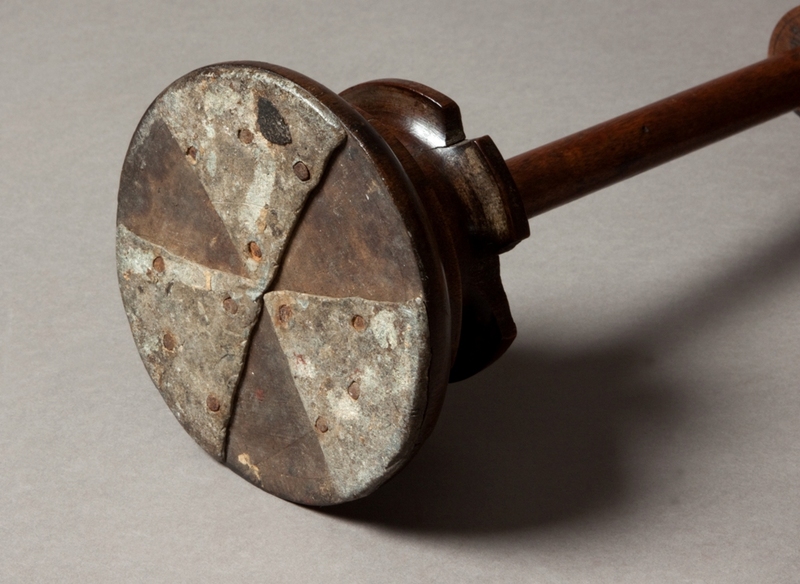 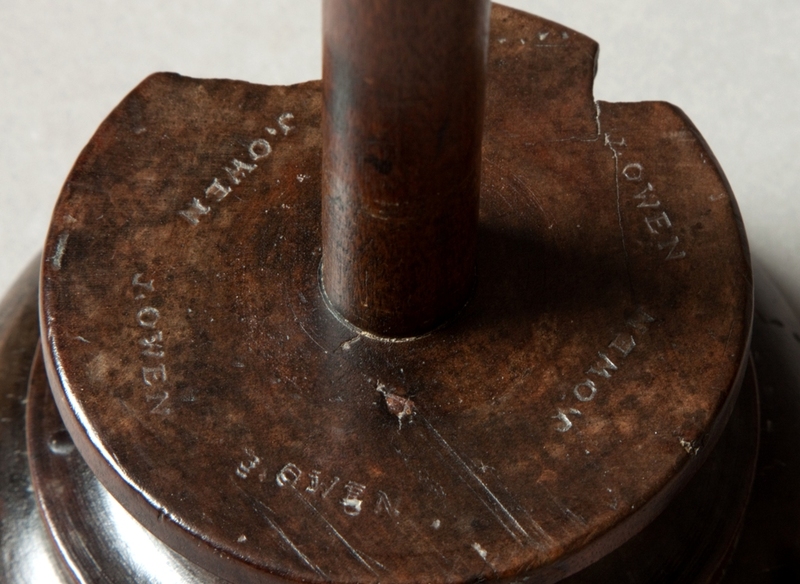 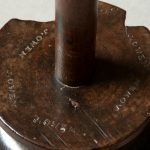 The underside of the turned sycamore base is counter-weighted with lead and the base is also stamped numerously “J.Owen” who was possibly the maker. 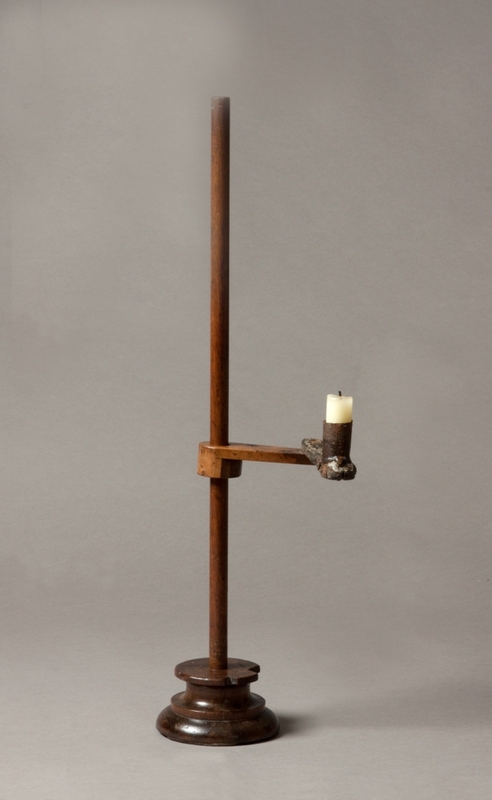 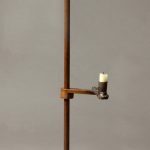 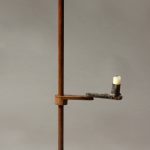 The adjustable and extendable candle holder is also made from sycamore with a tin candle socket. 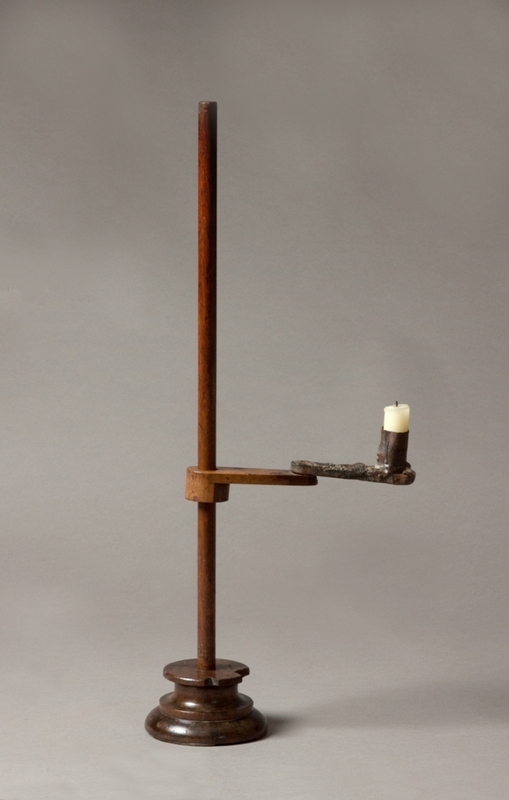 The candle holder rises and falls on an ash stem and is held in the desired position by friction and the actual counter-weight of the candle.